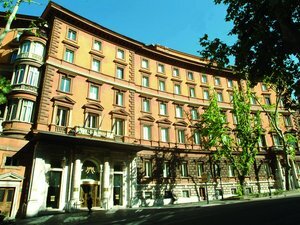 Urban escape is what really sets apart the Gran Meliá from the rest of Rome’s hotels. Built into the Janiculum hillside, on the grounds of a villa belonging to Emperor Nero’s mother, Villa Agrippina was a city oasis from its start. The sprawling compound has 116 rooms and deluxe suites styled in a pleasant complement of contemporary and Baroque design, but you’ll find the real pampering in the SPA My Blend by Clarins. The white-on-white light-filled spa has all the treatments and facilities you could hope for, including sauna, Turkish bath and fitness area, as well as sensorial showers and an outdoor Vitality pool, heated to at 32 degrees for a dip in any month. Chances are, though, you’ll find yourself relaxing poolside in the lavish two-acre grounds. 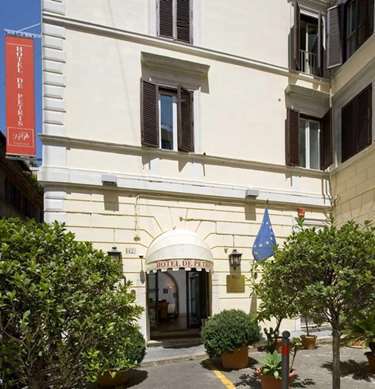 A three-star hotel so close to the Trevi Fountain you can hear the water splash, its clean design and enviable location are what distinguish Hotel Trevi from its counterparts. 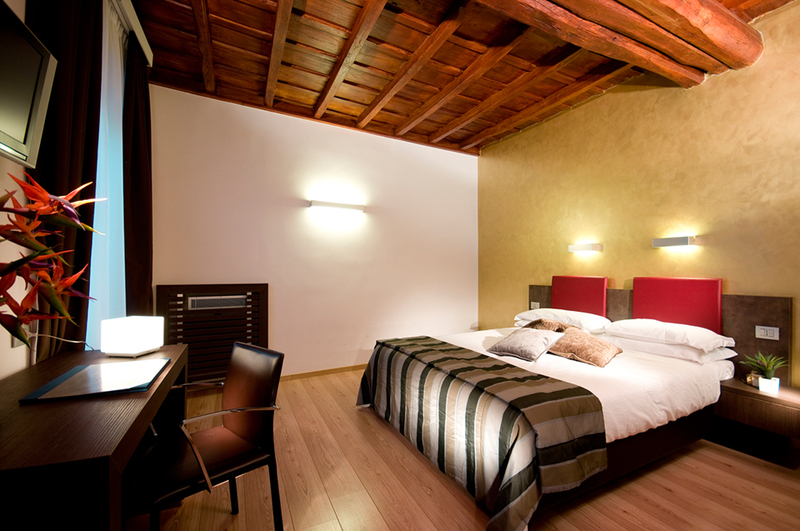 Rooms are modest and modern with warm walls, wood panelling and furniture, crisp white sheets and hardwood floor, with different room set ups to accommodates singles, doubles and larger groups. Breakfast is served on its rooftop terrace, looking out over the cascading panorama of the city’s peeks and domes. 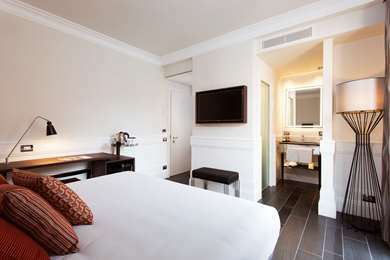 The hotel is within walking distance to major monuments and must-sees, and down the street from bus stops and metros. 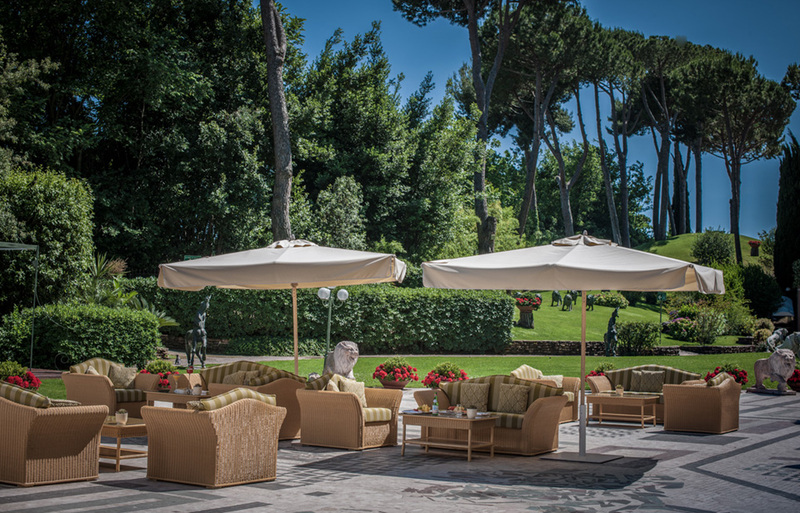 Probably Rome’s best kept secret, Parco dei Principi Grand Hotel and Spa is the preferred hideaway for Dolce Vita glitterati drawn to its quiet parkside location, elegant décor, superb white glove treatment and mind-blowing 2,000 sq ft spa, pool and fitness complex. 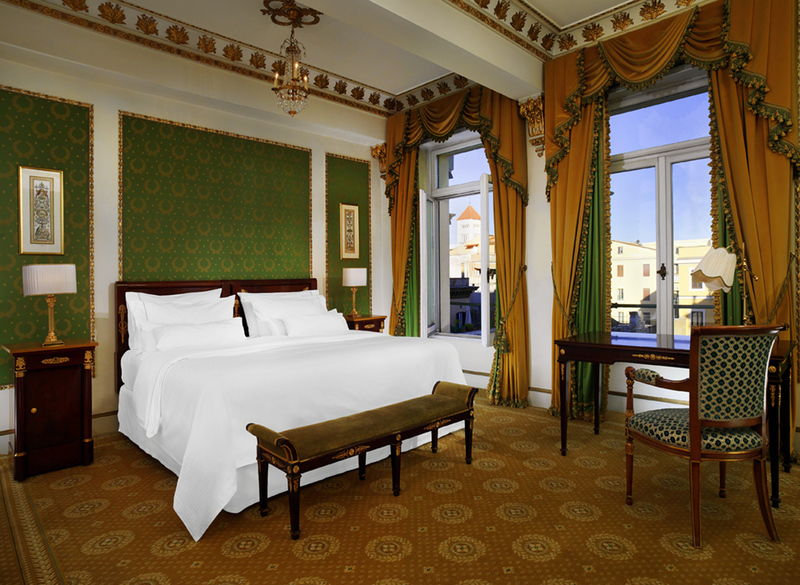 Each of its 179 rooms and suites are jewels of gilded stucco, wood panelling, fabric brocades, luxurious wallpapers, antique furniture and marble, and the best ones – third floor and above – park facing with a guaranteed incredible evening sunset. 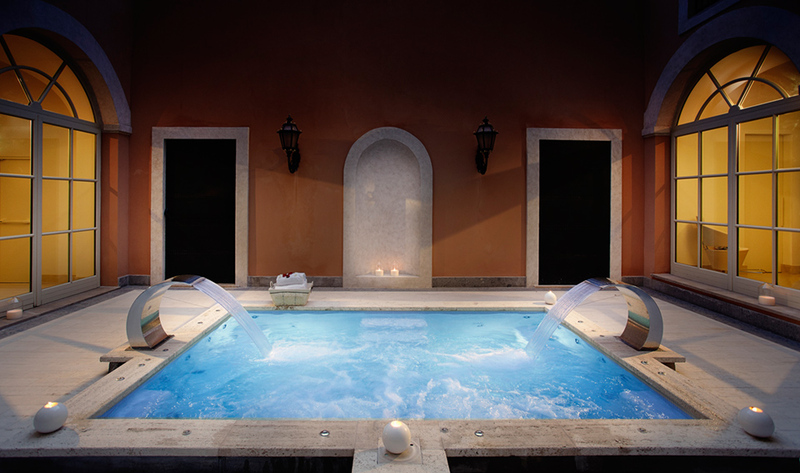 Though the poolside plays more to luxe charm of the Jay Gatsby era, the spa is all 21st century. This tiny standalone townhouse overlooks Rome’s Trastevere neighbourhood, as a quiet enclave above a busy borgo. With just seven rooms, private entrances and a serene hilltop location, Locanda San Pancrazio feels like a private home and its Belle Époque style evokes a yesteryear romance – its turn-of-the-century history celebrated through architectural design, period furniture and large windows. In the summer months, the Locanda opens its panoramic terrace for breakfasts and aperitivi, with the whimsical style of a vintage dining room placed outside. In winter months, guests cosy up in La Baita, the rustic, Alpine-inspired chalet built into the under-level hillside – a charming snug serving après-ski-style cuisine. Eating well in Rome can often be all about location. Everyone wants to walk, but no one wants to go too far. DOM hotel takes that to heart. 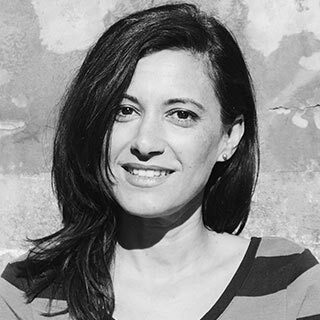 Chef Max Mariola helms the onsite restaurant, a black lacquered niche that feels more Paris than Rome. His brunch has no rivals, while dinner is the happy fusion of traditional Roman and nouvelle cuisine. But DOM’s location is too good to keep you inside for the duration. Down the street, around the charming Via Giulia, are some of the city’s best eating spots, including Pierluigi, Il Sanlorenzo, Supplizio, and Roscioli. But you’ll be back to the hotel for evening drinks at the Deer Club, a tiny and stylish cocktail bar or the rooftop. Personality is key at DOM. 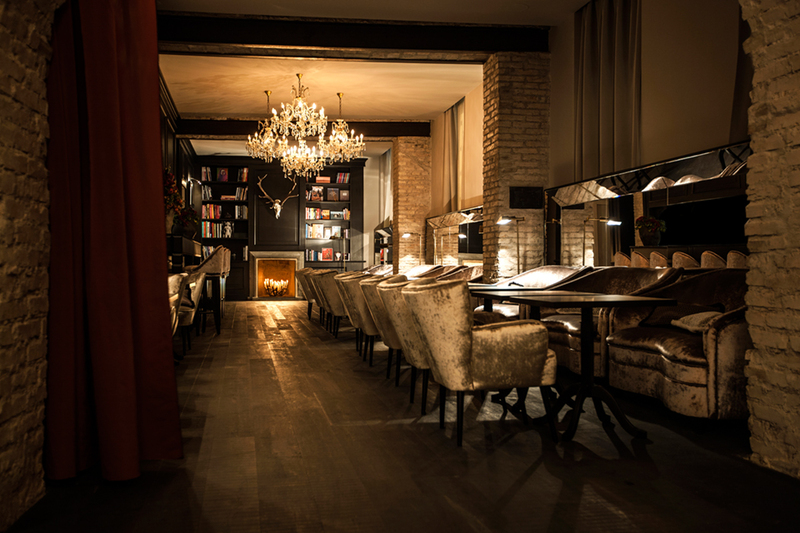 The 24-room hotel was once a monastery, and its design plays on its austere, Baroque history with a little naughtiness – 500-year-old inscription rest side by side with Warhols, while rooms are warmly decorated in burnt tones, burnished velvet and large mirrors. 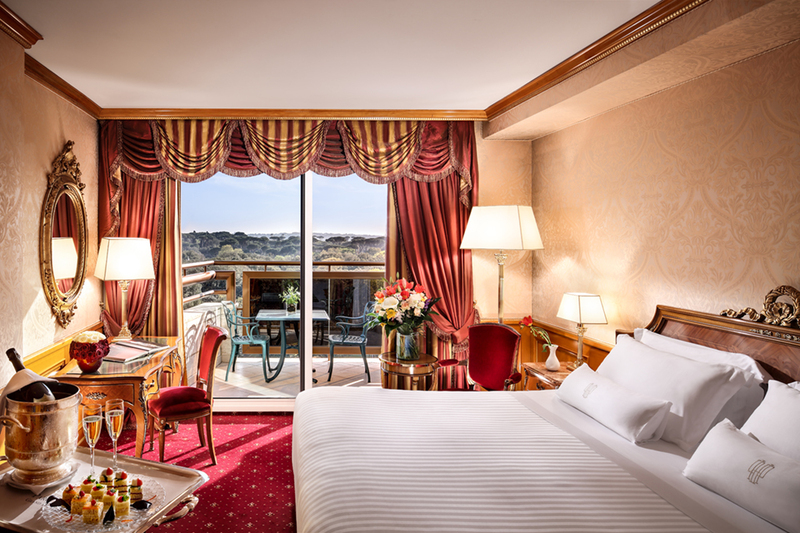 Known for its 50-year history as the getaway for celebrities thanks to its out-of-centre hillside location, the Cavalieri is also the perfect escape for families. The 365-room hotel greets smaller guests with personal check-in and amenities, while offering a year-round kid-curated line up of services, itineraries, events and babysitting. The real fun is exploring the hotel grounds – gardens, a 25,000 sq metre in and outdoor spa complex with three pools (one of which has an inflatable slide), and tennis courts. During the summer months, the IT Club – League of Young Cavaliers – hosts daily, on-site cultural and sporting activities, and revs kids up via a Vespa Video experience, Ferrari F1 simulator racetrack and Nutella Chocolate Bar. The hotel restaurants have children’s menus, but the best is the pool bar which has milkshakes, hamburgers, homemade ice cream and pizzas. However, grown-up children may find more fun at La Pergola, Rome’s only three Michelin star restaurant – book in advance. The Westin Excelsior means business. A city landmark, the 331-room hotel is a sprawling complex of on-site restaurants, a pool, spa and fitness centre, along with luxury rooms. The business centre is an excellent option for follow-up work, while the ORVM lounge bar is a chic spot for a meeting or an after-work drink. 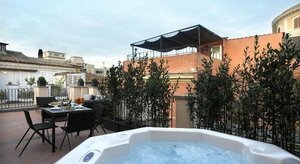 The hotel’s Via Veneto location is conveniently placed within walking distance of Piazza di Spagna, and reachable to all corners of Rome via public transport or their car service. 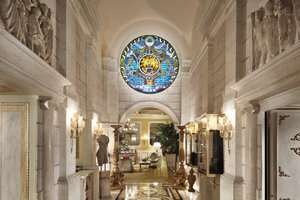 The gem is the concierge staff, a very well-trained and informed team whose knowledge goes miles. 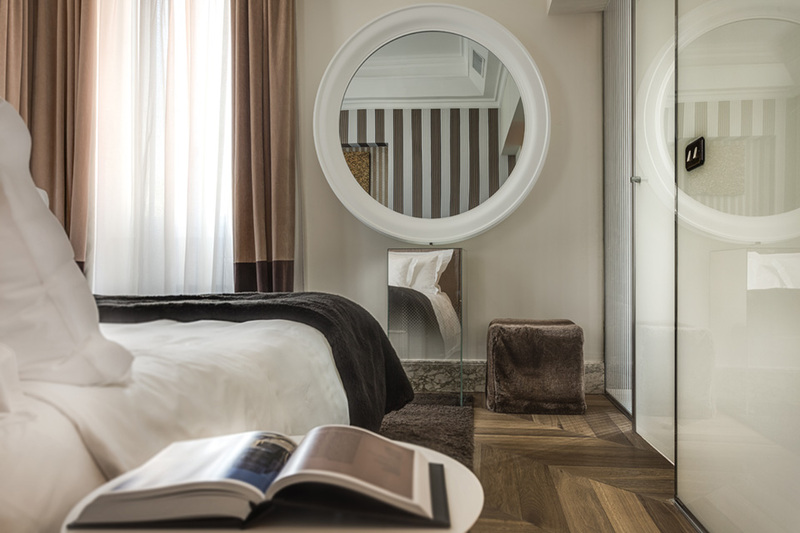 Playful and chic, the 16-room Palazzo Manfredi is a capsule of why everyone loves Italian style. Sumptuous leather couches, ’60s abstract paintings, Kartell tables and Igo Maurer light fixtures mix with Venetian plaster, polished marble and antique sculptures. Each room has a different personality, whether the library-themed wallpaper in the Executive Room or the warm marble and vinyl in the Junior Suite. The best rooms face the Colosseum, waking you up to a full frontal view of the world’s biggest amphitheatre, spectacular day or night. 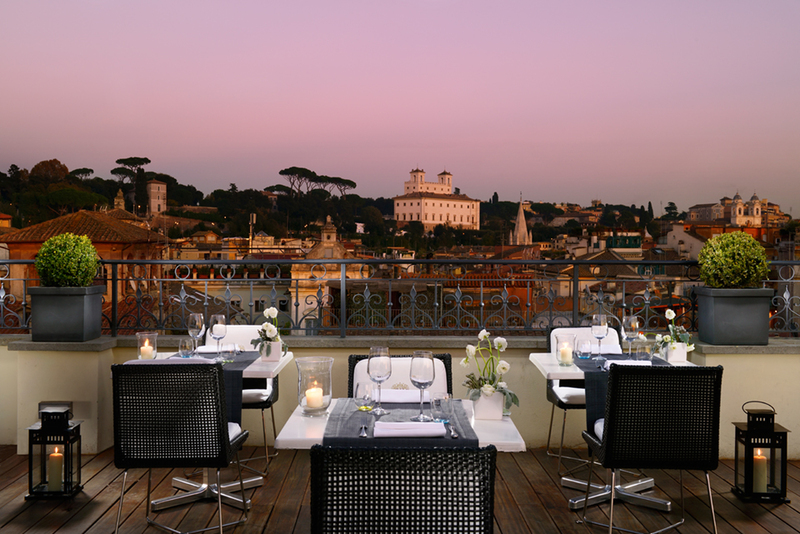 Bonus is the hotel’s rooftop restaurant, Aroma, recently awarded its first Michelin star, eye-to-eye with the Colosseum. 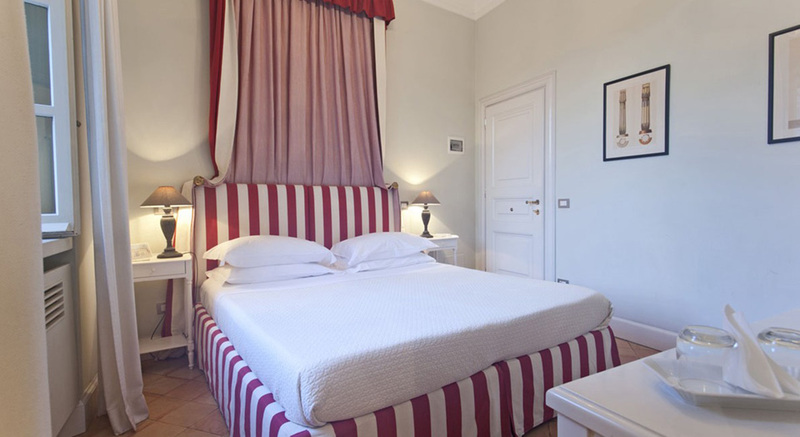 A full-service townhouse in Rome’s consummately hip Monti neighbourhood. 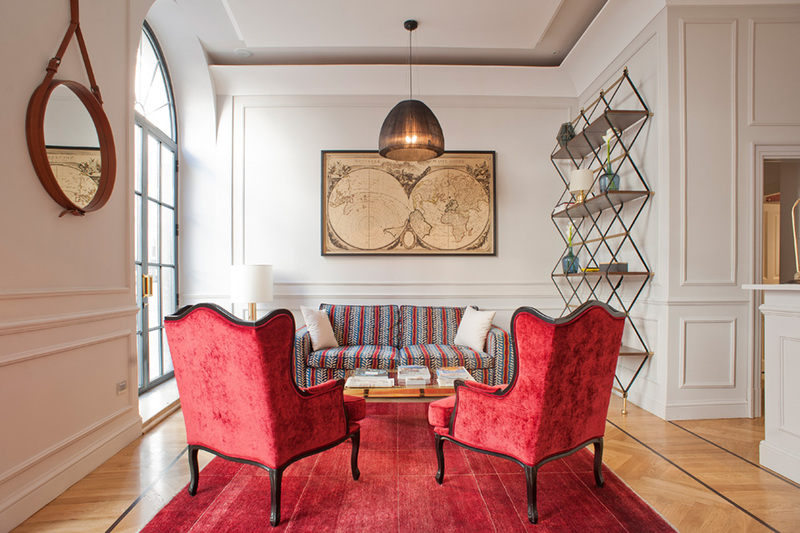 Retro chic is the style in all 15 rooms, with 1950s furniture, vintage light fixtures and other old-school jewels, while maintaining a very contemporary vibe and top-quality service. Rooms are breezy and crisp, with muted pastel-toned walls, while reception is staffed round the clock with a team strong in efficiency, knowledge and hospitality. Guests can enjoy the city on complimentary Dudebikes, vintage-styled foldable cycles. Rome with a view is fundamental for a weekend in the Eternal City, and with century after century of building on top of itself, most Romans know that the only way to go is up. The First Luxury Art Hotel has the best rooftop terrace in the city – not just for its striking 360-degree view, or its incredible placement in the very centre of the city, but thanks to its great rooftop cocktail service… There’s nothing quite like toasting the sunset with a glass of Franciacorta or a craft cocktail. 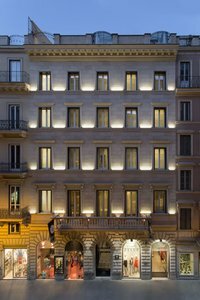 The First is also Rome’s singularly contemporary art-inspired hotel, throughout its 29 rooms (many with in suite Jacuzzi), lounges and restaurant are museum-quality art works by Italian and international artists.